*Warning! The following guide is still a work in progress. Whether you received Super Smash Bros. Ultimate a couple of days early or got it on launch day, the latest game in the iconic Smash series is available now and with it, comes the gruelling task of unlocking fighters! Long winded Route: Play through the World of Light Adventure Mode and free the captive spirits. Direct Route: Use any fighter and clear a full round of Classic Mode. Quick Route: Play any Smash Mode that will have you fight CPU and human opponents. When it comes to deciding to unlock every fighter from World of Light, this is the longest way you could go about doing it, as it is a very time-consuming affair. You see, whilst a gathering of fighters can be collected early on, to get them all with World of Light, can take between 18 and 30 hours and when you do start playing through the Adventure Mode, you will be limited to Kirby until you unlock your first fighter. Additionally, a Google Spreadsheet by GusBus6Volt, /u/k1ngm3, @zach_min, @ChirozDR, which contains the picture is a photo of, can be accessed by clicking here. For the players who wish to attempt to go after very specific characters such as Ridley and Inkling, what you will want to do is play through Classic Mode. By beating the whole thing with the character you selected, a fight against a new challenger will be triggered. Beating the challenger will allow you to unlock them, but each fighter you choose to play as have their own path of fighters they can unlock. For example, should you play as Samus, you can unlock Inkling. Once you have Inkling though, whether you play as Samus again or as Inkling, you’ll then unlock Wii Fit Trainer as the next person in Samus’ path. Should you unlock every character in a path, although you can move on to another character and playing through their path, you can still play as Samus and as those she can unlock, as you can then start unlocking characters on another fighter’s path with every Classic Mode completion. 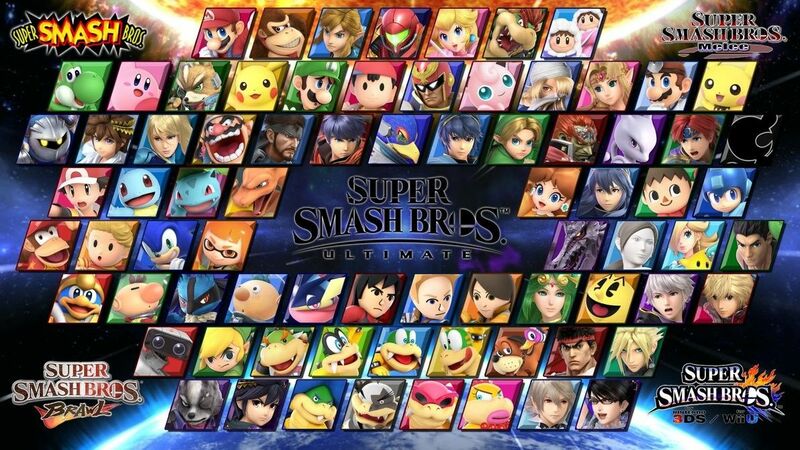 *Fighters such as Cloud, Dark Pit, Richter, Toon Link, Wario and Young Link are still being looked into at this time. The more challengers you face, the harder they will become. Any character you unlock in World of Light can automatically be used with other modes. This does not however, work the other way around. In the event you fail to beat a challenger, they will not suddenly challenge you again if you replay Classic Mode or do a round of Vs. Mode. Instead, you must simply carry on playing the game and check the Games and More hub frequently. Should you see an icon in the shape of a small door, it is called “Challengers approach.” It is with this icon that comes the means to fight the challengers you have lost against. How the fight differs this time around though, is the fact you are welcome to play as any fighter you have unlocked instead of using the fighter you were limited to before. We hope you found this guide helpful and wish to remind you that it is a work in progress, so the information is constantly being updated and any tips or comments you wish to share, are most welcome. Tags: Character unlock guide, Feature, Guide, Super Smash Bros Ultimate, Super Smash Bros. Attempting to do Samus’ chain of unlocks, all in your list were accurate except for Young Link. In his place, I fought Dark Samus instead (which is one of the ones you have as being looked into). This was literally just now. I will do another run to see if Young Link is after? Thank you for letting us know. It will be interesting to see if Young Link is after Dark Samus.